Nobody wants a criminal record, but many are forced to deal with the effects of prior criminal charges on their record. For certain individuals, this can be especially damaging. A criminal record can come back to haunt you when you least want it to — when applying for a job, looking to rent an apartment, or any time a criminal background check is required. In Florida, there are two options available to individuals who have been charged with a crime or convicted of certain crimes, to remove that information or seal it from being easily accessed. To learn more about sealing or expunging records, contact a Weston, Florida, record expungement lawyer from the Law Offices of Russell D. Bernstein, P.A., The Legal Helpline — A Private Law Firm. Record expungements — A record expungement removes certain criminal charges from an individual's criminal record. Record sealing — Criminal record sealing places certain criminal charges or information relating to an arrest under highly restricted access. 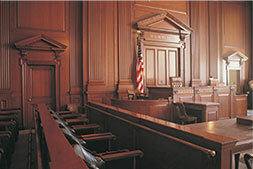 Certain criminal offenses can be expunged, and others cannot. There are many complex rules that apply to record sealing and expungements in Florida, so it is important to talk to an experienced criminal defense attorney about your specific legal options. You can trust our firm to help you explore all of your legal options to clear or seal your criminal record. To learn about your legal options in regard to record expungement or sealing, contact a Weston record expungement lawyer from our firm to schedule a free initial consultation. Call 954-752-2010.